Home > Yahoo > Yahoo News > Why Did Marissa Mayer Leave Google To Be The CEO Of Yahoo? Why Did Marissa Mayer Leave Google To Be The CEO Of Yahoo? 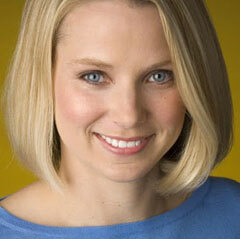 Marissa Mayer was Google's 20th employee, joining them in 1999. She was responsible for most of the user interfaces you saw on Google up until a couple years ago. This woman had everything. She is incredibly rich from Google's IPO. She is incredibly famous in the tech world. She has an incredible reputation. She is incredibly well liked. What else can she want? To prove that she can turn around an ailing old internet company that has been failing for over five years? But this can also be incredibly risky. Look at the past CEOs and what has happened to their reputations. Scott Thompson's reputation is now ruined. I think Marissa wants to prove herself, that she can do what five CEOs before her could not do. Turn around Yahoo. It is a huge risk but honestly, I personally feel (I have no proof or inside knowledge) that she was pushed aside at Google two years ago and hasn't been able to do much to make a different at Google since then. Yea, mobile is huge at Google but I get the feeling she wasn't the ultimate decision maker on that. That being said, I have no proof of any of that. But her taking on a role at Yahoo makes me feel that is the case even more so. Danny has a nice piece on what this means for Yahoo and search at Search Engine Land.